What Will Jetblue’s New Airbus A321LR’s Be Like? Jet Blue has replaced 13 of the A321neo aircraft orders for orders of the A321LR. The move, announced yesterday, is intended to allow the carrier to commence long haul flights across the Atlantic. In doing so, the airline may potentially disrupt the transatlantic business market as we know it. 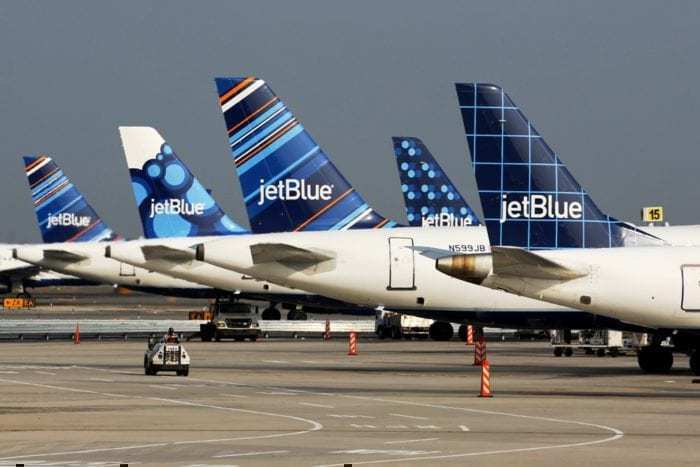 JetBlue’s current fleet consists of both Airbus and Embraer aircraft. According to current data, the airline operates a fleet of 130 Airbus A320s, 63 Airbus A321s, and 60 Embraer E190s. In addition to these aircraft, JetBlue has a further 85 A321neo aircraft on order from Airbus. As previously mentioned, 13 of these will be converted to the A321LR. Finally, JetBlue also has 60 A220-300 aircraft on order. 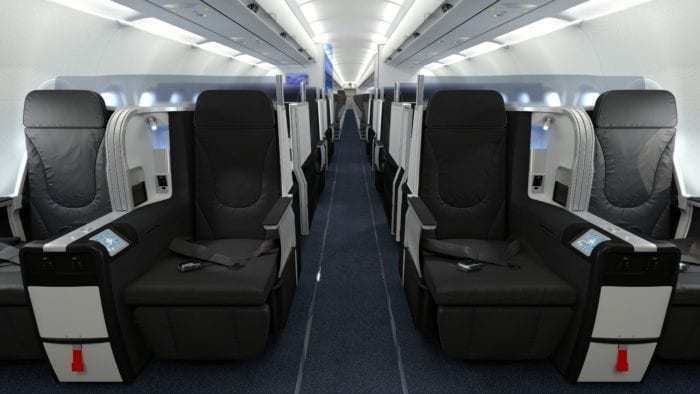 JetBlue is looking to disrupt the transatlantic travel market with its Mint business class cabin. JetBlue’s current mint product is available between the two US coasts, and to the Caribbean on selected routes. It sees each passenger given a business class seat which turns into a lie-flat bed. Some of the seats turn into suites with a closable door. Passengers are treated to seasonal small plates, as well as a number of other amenities to be expected with business class. Airbus has yet to release its list prices for 2019. In 2018 the list price for a brand new A321neo was $129.5m. The A321LR has a range of 4,000 nautical miles and, compared to the previous generation aircraft, the A321LR uses 30% less fuel per seat. Additionally, with a maximum takeoff weight of 97t, the A321LR can carry up to 244 passengers. The A321LR aircraft on order from JetBlue will differ slightly from their A321neos. The aircraft will have a brand new and improved Mint Product. Additionally, we are likely to see a new economy cabin placed on the aircraft. This could potentially be slightly more spacious due to the long flights that will be accomplished. According to Australian Business Traveller, the new Mint product is expected to be the Thompson Aero Vantage Solo seat. This would see each seat having direct aisle access, Additionally, every seat would be enclosed by a privacy screen. 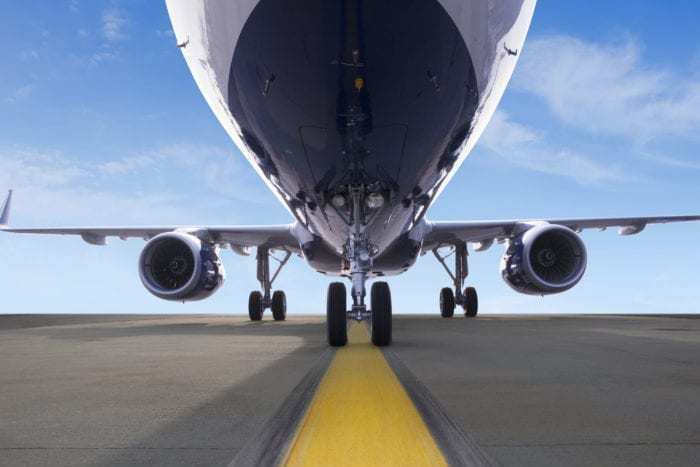 Narrowbody aircraft are becoming more popular for long haul flights. In fact, Aer Lingus wants almost half of its long-range fleet to consist of the A321LR by 2023. Narrowbody aircraft are less expensive than widebody aircraft and are well suited to less used routes. Having a lower capacity means that the aircraft does not need as many passengers to be fully loaded. JetBlue is set to launch its first European routes using the A321LR. The first two routes will see daily flights launched between both New York and Boston, and London. While the London airport is yet to be confirmed, unofficial rumours appear to point towards London Heathrow. Are you excited for transatlantic JetBlue flights? Let us know in the comments down below!